and you don’t know the Israeli mentality and the language? �I remember that frustration when I moved here years ago. so you can completely relax all the way. that I had already worked with in the past and that I trust. and I'll help you understand their proposals and contracts. that he works according to the plan and that he uses quality building materials, and I'll keep you posted regularly. ⦁ I will assist you in everything related to the interaction with the contractor and suppliers, and I'll support you all the way. Shalom! My name is Debby Schor Elyasy.�I fulfilled my childhood dream and immigrated to Israel in 2004. I experienced the frustration of insecurity that you feel when you do not control the language and still do not understand the local culture and mentality. Therefore, now that I feel like an Israeli despite being born in Italy, it is important for me to help you realize your dream of having an apartment in Israel. I am an Italian-Israeli architect with experience in architecture, interior design and green building in architecture offices in Barcelona, Milan, and Jerusalem. I have an Israeli license in architecture (License No. 117947). My office, existing since 2009, deals with the planning of private homes, luxury apartments, offices, etc., starting with the initial planning stages to the small details, including handling licensing procedures. In the recent years, I have helped with success dozens of customers from Israel and from abroad planning their home in Israel. I will be honored to accompany you in the process of planning, designing and renovating your apartment in Israel. I am living abroad and Debby was just great in arranging and supervising the renovation work. She also sent me samples to choose tile, lamps and other stuff and this was great and going easy and the results are what I expected. She also sent me an estimate of the costs and options and then a final proposal. She was available to clarify questions and kept me in the loop of the works done by sending photos or when they started and finished. All in all, I am very happy to have chosen her and her team for the work. It is pleasant to work with her. As a result of an impending birth, we saw that we needed more space and we had an area in the house that was not in use. So we thought to redesign it and to move our bedroom there. Debby came to see the place; we talked a lot, me, my husband and Debbie, We told her what we needed, what our dreams were. She sketched us a three-dimensional sketch and gave us several options, not just one option, and so we asked for changes. Debby was here all the time listening, checking and correcting until we reached the result we wanted. Debby was very pleasant and very professional. Every question I had, she answered me, and she gave us ideas. She was very organized, very confident and knew her job. The final result was excellent. and Debby's supervision and keen eye were essential. I feel like I'm in paradise in my room, a fun feeling. I told my husband not to go to a hotel because our room is already like a hotel. A high level and professional work. Every question we have she always hears and comes to the place. She invests time, comes to the stores, accompanies us, and gives us the best advice she can. Moreover, all the people she recommended were excellent too. Debby Schor Elyasy is an excellent professional, and she is also an open-minded person, willing to make every effort to fulfill the task that she undertakes. It was very nice to work with you and to receive your precious advice. You are professional, reliable, friendly and kind to both clients and employees. We recommend Debby Schor Elyasy with all of our hearts. 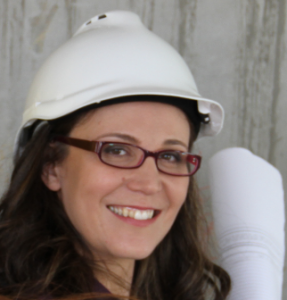 She is professional, she adapts the project to the client, based on his needs and she provides top-level service! The end result speaks for itself! Guests who come to our apartment cannot believe their eyes! Thank you for everything! The amount of energy that you put into your work goes way beyond a simple architectural planning service. The willingness to learn new things (like the production of wine!) and caring about the fact that the project meets all of the client standards, make the client feel like everything is under control. I would like to thank you for the excellent work carried out during the renovation of our apartment. Thanks to your professionalism, you managed to best understand our needs, without forcing your own ideas on us. On the contrary, you always cooperated to find a solution that suited us best from both an aesthetic and economic point of view. Thank you from the bottom of my heart, and I will not hesitate to recommend your services to my friends and family who need a professional architect. The best architect I ever met! At first, I turned to you because I had heard about your professionalism and your skills and because I could express myself in Italian. My requests were always respected in the best manner. Professionally speaking, and friendship aside, you are the best architect I have ever met! I am very happy to have chosen to work with you because, in addition to being absolutely professional, you are extremely precise, punctual and responsible. I highly appreciated the fact that even though you do not always agree with the client, you listen and try to find out his desires. The company you work with seems competent and helpful, further to being remarkably friendly. Thank you for everything! We met Debby when we were buying our apartment. It was an old, shabby and rather a small apartment that we wanted to renovate and make bigger. We were blown away by Debbys reliability and professionalism, never giving in to compromises, precise in her work and her attention to the tiniest details. We were always happy to listen and to put her advice into practice. The whole process consisted of a pleasant atmosphere and the certainty that we were in good hands. The result greatly reflects the quality of the work: we are currently living in a beautiful and comfortable apartment, where every corner is optimally used, tastefully and practically. When I bought a new apartment and wanted to do some small renovations, I contacted Debby Schor Elyasy. The original kitchen was in an awkward location, lacked sufficient counter and storage space. I explained to Debby my kitchen requirements. Debby presented me with two plans for the new kitchen incorporating all of my requirements. She was instrumental in helping me find an excellent kablan who made the whole process quite painless. She facilitated the conversation with the kablan making sure I knew exactly what I needed to ask for. Debby accompanied me to choose granite for the countertop. I appreciated her expert eye when choosing the material. Debby is one of the most professional and honest architects I've ever met! She is serious, she knows what she's talking about, she knows the job. And you can trust her, she's extremely honest, besides being a very pleasant person to work with. Debby is a great architect, very professional and with a very good test. She knows the new designs and the green buildings. A special one!